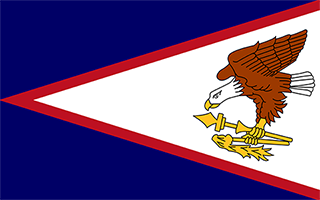 S -14° 10' 31" and W -169° 40' 39"
Ofu in Manu'a District with it's 254 citizens is a place in American Samoa about 69 mi (or 111 km) east of Pago Pago, the country's capital city. Current time in Ofu is now 04:42 AM (Saturday). The local timezone is named Pacific / Pago Pago with an UTC offset of -11 hours. We know of 7 airports near Ofu. The closest airport in American Samoa is Ofu Village Airport in a distance of 1 mi (or 1 km), South-East. Besides the airports, there are other travel options available (check left side). While being here, you might want to pay a visit to some of the following locations: Faleasao, Ta`u, Pago Pago, Samamea and Lufilufi. To further explore this place, just scroll down and browse the available info. Let's start with some photos from the area. Located at -14.175, -169.618 (Lat. / Lng. ), about 4 miles away. Located at -14.2086, -169.553 (Lat. / Lng. ), about 9 miles away. Located at -14.2292, -169.511 (Lat. / Lng. ), about 12 miles away. Located at -14.1844, -169.67 (Lat. / Lng. ), about 1 miles away. These are some bigger and more relevant cities in the wider vivinity of Ofu.